18650/26650 cylindrical battery holder, made by flame retardant ABS+PC materials, with high temperature resistance and crack resistance. There are slots on the edge of holder, can be combined into any different sizes and shapes of battery pack; after welding nickel tabs,Â the packÂ can pass vibration testÂ without anyÂ other connectingÂ device. It is very suitable for battery pack, and note that every battery pack needs 2 groups of holders (one up / one down)! 1 Standard exported package : Internal anticollision protection, external export wooden box packaging. LiMn2O4,LTO,LiNiMnCoO2(NMC),LiCoO2,Graphite(MCMB)andÂ other cathode&anode battery materials;Alumimun foil,copper foils,battery separator,etc. Â mixing machine --coating machine--oven--rolling machine--welding machine--slitting / cutting machine --winding machine--sealed machine,etc. 3)Full set of lithium battery technology. a.Â FullÂ setÂ ofÂ productsÂ chainÂ fromÂ lithiumÂ ionÂ batteryÂ materials,Â equipmentsÂ toÂ theÂ technology. b.Â 11 yearsÂ lithiumÂ ionÂ batteryÂ experiences. 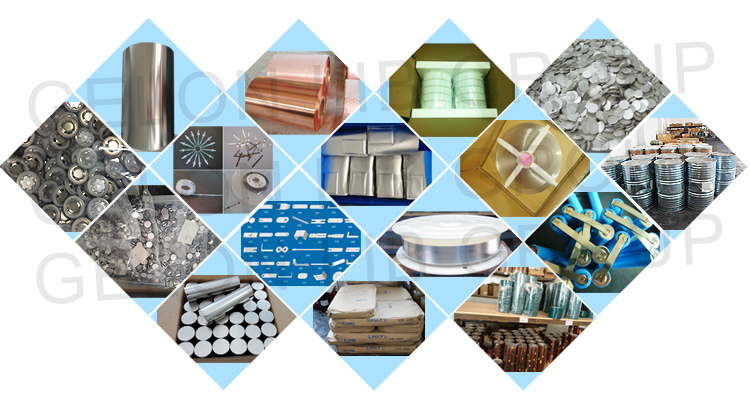 c.Â MoreÂ than 9 yearsÂ exportingÂ experiencesÂ and 6 yearsÂ golderÂ golderÂ supplierÂ inÂ Alibaba. d.Â StrongÂ teamsÂ forÂ marketsÂ andÂ agents,Â andÂ customersÂ allÂ overÂ theÂ worldÂ fromÂ Asia,Â America,Â Europe,Â MiddleÂ eastÂ etc. Gelon(Int) LIB Group Ltd was set up as a manufacturer and exporter in 2007, dealing with lithium battery materials, equipments, technology, etc. Gelon New Battery Materials Co., Ltd., E-Battery Co., Ltd., Linyi Gelon LIB Co., Ltd., withÂ total manufacturing facilities of around 100,000 square meters and more than 500 staff. Gelon LIB Group focus on r&d, manufactures and sales of new materials(anode, cathode, separator, additives etc) for lithium ion battery and we also offer full sets of materials solution to customers. Our preponderant products are Lithium Iron Phosphate(LiFePO4), Lithium Manganese Dioxide(LiMn2O4), Lithium Cobalt Oxide(LiCoO2), Lithium Nickel Manganese Cobalt Oxide(LiNiMnCoO2), Lithium Titanate Oxide(LTO) materials, graphite materials(MCMB), separator and so on for new power lithium ion batteries. We are confident on our quality and service. And ensure to offer the best service based on our specialty and empressement. Our aim is to be the comprehensive company dealing with one- stop services for lithium battery in the world. Â Â 2) Â We can help customer establish Li-ion battery Lab πlot&Mass line for cylinder, pouch, and primatic battery andÂ offer all materials and technology support for production lineÂ ; and welcome customer come here and visit our factory for further cooperation. Our Aim is to expand chinese battery technology to all over the world, and lets world develop Lithium battery together for more healthy life. Next: For the sake of environmental protection, I love a group of eco-friendly paper speakers.